Hey guys, hope you are enjoying blogging as much as I am. If you have self-hosted WordPress blog, keep reading. As I said, you can improve the performance of your WordPress blog by using various WordPress plugins. There are 45,656 plugins are available in WordPress plugin repository. Isn’t that too complicated to pick a right plugin for you? What if choosing plugins for your blog get easier? To make picking up WordPress plugins, I have listed some great plugins which will surely add more features and new functionality to your WordPress blog. Jetpack is WordPress plugin by team Automattic. This plugin is fully loaded with multiple features viz, Traffic Growth & Insights, Security, Image Performance, Centralized Management, Comment system and more. It has both free and paid version. This plugin is developed by team Automattic. This plugin speeds up your blog loading speed by enabling cache functionality for your files. This plugin is free for all users. SEO plays an important role to get more traffic to your blog. Yoast SEO is a plugin which has full functions to make your SEO good. This plugin is written by team Joost de Valk. It has both free and premium versions. Advanced database cleaner is a tool to clean and optimize WordPress database. It works right from the WordPress dashboard. you don’t need to log into your phpMyAdmin. This plugin regenerates thumbnails of the media files (images) after compression. It force regenerates thumbnails when you upload images for your contents. Google XML Sitemap generates a special XML sitemap which helps you to better index your blog in search engines. This is one of the famous plugins to improve blog loading speed. This plugin has various options that can easily improve your page loading speed. This plugin has page cache, minify, database cache, object cache, and more features. This plugin is available for both free and paid versions. 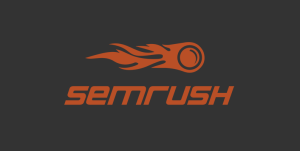 WP-Smush is a smart plugin which reduces the file size of images during upload. It compresses all type of images. The free version can compress only files below 1 MB in size. Limit login attempts is a plugin which enables extra security for your login page. Contact form plugin which can manage multiple contact forms. Highly customizable. Embedded with CAPTCHA spam filter.